One of the advantages of choosing a shiny new Android phone over those Apple handsets is the extra scope for home screen customization. 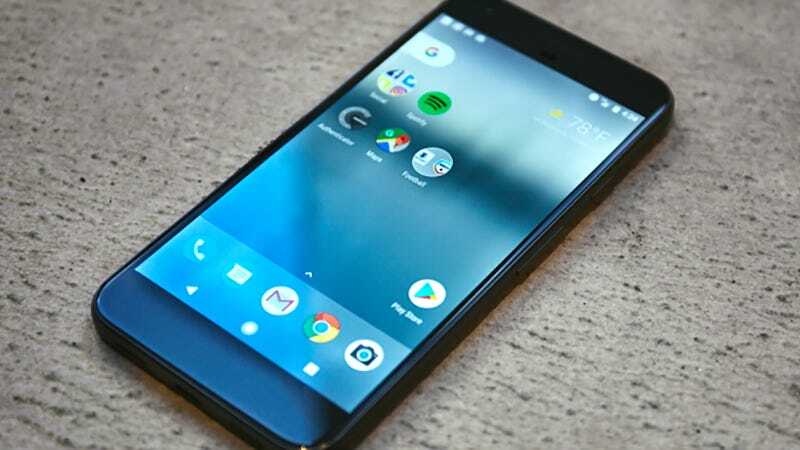 If you’re stuck for inspiration or wondering how to get started, here are 10 ways of tricking out your home screen and other parts of the Android OS. Live wallpapers shift and change over time, and while the Google Play Store is home to some rather amateurish attempts at these graphics, there are a few gems too. Meter from Google is one of our favorites, and shows showing key phone stats on your home screen. If you’re after something that’s more creative than functional, there are plenty of other options, from raindrops to woodland. As with any wallpaper, long press on a blank part of the home screen, select Wallpapers, then pick out your new wallpaper from the list. When your Android phone detects it’s been plugged into a charger or a dock, you have the option of showing a screen saver. Pick Display and Screen saver from Settings to see the available options, which will vary depending on the make and model of your handset. Using the overflow menu (tap the three buttons to the top right), you can preview the screen saver and decide when it should start up. Some screen savers, such as the Clock and Google Photos ones, come with extra options (tap the small cog icon to see them). Google and the various Android phone manufacturers have done a decent job of making the Android lock screen clean and intuitive, but there are alternative lock screens out there that offer something a little different, such as options to add new widgets and shortcuts. If that sounds like a customization you’d be interested in then the Next Lock Screen from Microsoft is well worth investigating. It gives you detailed notifications, contact shortcuts, quick access to the camera and key settings, weather and calendar widgets, and more. For a really comprehensive home screen revamp, install an alternative launcher. These launchers jump into action when you press the home button, and can be managed by opening Settings and selecting Apps, then the cog icon, then Home from the menu. Although it hasn’t been updated in a while, Themer remains one of the best and most straightforward ways of making Android look completely different. Pick from one of the many gorgeous designs available and get a home screen that’s truly eye-catching. Another launcher of note is Aviate from Yahoo, which works on the idea that you need different apps and functions as you go through your day. That means travel times as you’re setting off for work and restaurant recommendations at lunch, for example. It operates a bit like Google Now, but goes even further in the way it organizes your apps based on function and time of day (you can customize all this automatic behavior if you need to). It comes with a stack of fantastic-looking wallpapers too, which is a bonus. The ability to change the home screen icons is built into most of the Android launchers you’ll come across. First, pick a launcher, then you can start browsing the app store for suitable icon packs (compatible with your chosen launcher) that will re-skin your icons. There are a wealth of options out there to pick from (and they’re mostly paid-for packs), but to give you an idea of what’s available check out the modern-looking Click UI, the vintage-looking Retrorika or the minimal approach of VIT as your alternative icons. Widgets have been one of the mainstays of Android home screens since (almost) the very beginning, and if you’re not using any of them you may as well get an iPhone. Long press on a blank part of any of your home screens and choose Widgets to see what’s available. Music app widgets and widgets for Google’s apps are particularly useful, but you can add some extra pizzazz to the default widgets by installing Beautiful Widgets. The focus is on time, date, and weather widgets, and there are a ton of top quality designs to pick from. Pretty much any launcher you install will come with a host of tweaks to play around with, and font size and style adjustment is a common one. In the impressive Hola Launcher you can find these settings under the Appearance menu via the Hola Settings shortcut. Tap Icon and Label to adjust the size of the icon graphics and their labels, or Text Color to switch from the default automatic color to either black or white all the time. There are plenty of other changes you can make, from hiding apps to customizing home screen gestures. One of the tricks that several launchers have in their toolkit is the option to add extra icons to the dock, giving you access to more of your favorite apps and shortcuts, with no need to swipe or open the app drawer, and leaving more room for widgets above the dock. As we’ve said it’s in several launcher apps but here’s how it works in Nova. Open the Nova Settings app, then tap Dock and Dock icons. You can have up to seven, and the other options on the Dock menu let you adjust icon size and labels (with a Nova Prime upgrade). Another way you can use a launcher app is to get rid of the Google search bar that’s usually pinned at the top of each home screen. ZenUI from Asus uses a clean, minimalist approach for your home screens. You can add a custom search bar of your own or hide it altogether. The Custom Search Bar Widget is an app that goes even further, letting you add different shortcuts to the search bar (like Wikipedia and IMDB) if you don’t want to run a Google search every time, as well as providing options for tweaking the bar’s color and shape.